It’s interesting to compare the Penguin POW editions with a similar German series - the Bücherreihe Neue Welt. 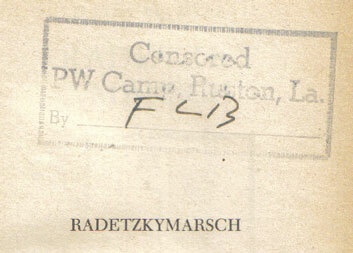 Similar at least in the sense that these are special paperback editions produced for Prisoners of War. If there’s some doubt though about how many of the Penguins actually made it to their intended destination, there’s no such doubt about the Neue Welt books. 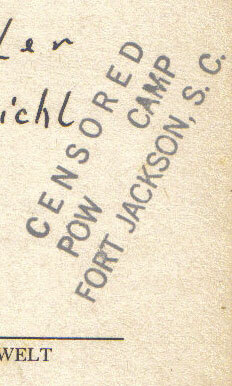 Almost all of the copies I’ve seen have POW camp stamps or stickers inside them. There’s another important difference that perhaps contributed to this. 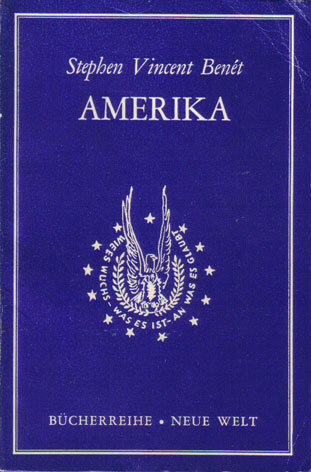 The books, although in German and mostly with copyright from the Bermann-Fischer Verlag, were actually printed in the United States. That makes sense of course. 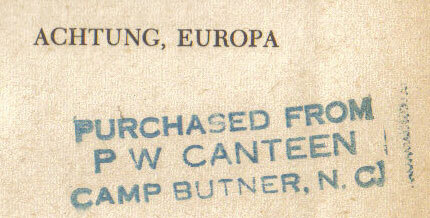 It would have been difficult to print them in Germany and export them to the US. 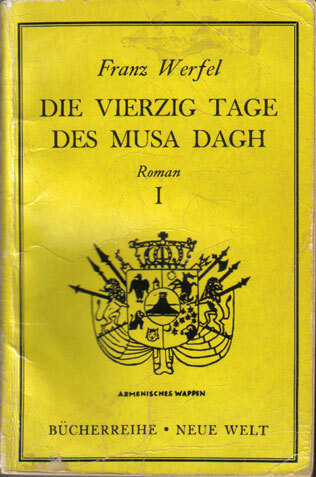 But what it also hints at, is that the series was actually a US initiative, rather than coming at the initiative of the German authorities or any German publishing firm. 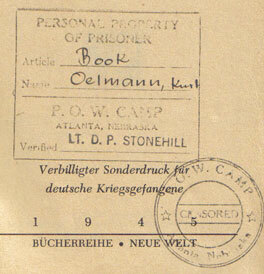 The Bermann-Fischer Verlag was a German publisher in exile, established in Stockholm, with the head of the firm, Gottfried Bermann Fischer having fled to the United States. This background is also reflected in the choice of titles. The first two, ‘America’ by Stephen Vincent Benet and ‘One World’ by Wendell Wilkie, appear to have been translated into German for the series and in this context may be little better than American propaganda. Much of the rest of the series is made up of classic German novels, but there is a heavy representation of anti-nazi, anti-war or jewish writers in exile, such as Thomas Mann, Carl Zuckmayer, Arnold Zweig, Franz Werfel and Vicki Baum. This is certainly not a selection of which the Nazis would have approved. 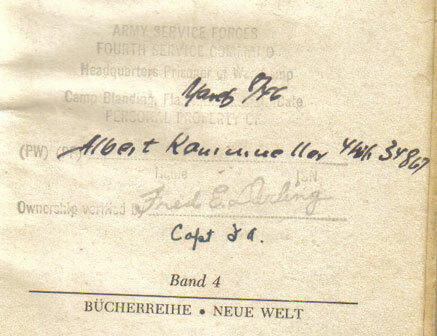 Nevertheless most of the surviving copies look to have been well read and in many cases taken back to Germany when the prisoners were released. The series runs to 24 volumes and is a mix of fiction (with yellow covers) and non-fiction (blue covers). 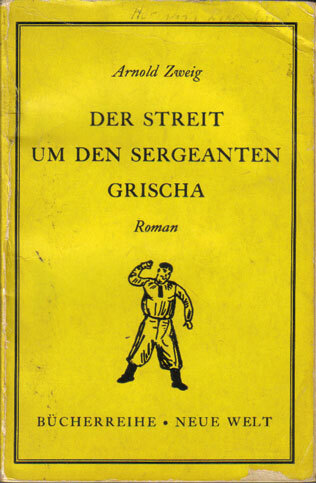 All were sold at 25c and are described as a 'Verbilligter Sonderdruck für deutsche Kriegsgefangene", which translates as a 'special cheap edition for German prisoners of war'. In practice 25c appears to be pretty much the standard price for US paperbacks at that time, but I suppose they were a cheap edition in comparison with the hardback alternative.